A poker player from Europe has been arrested in the US and charged of credit and debit card skimming. Italy's Luca Pizzingrilli was picked up earlier this month allowing with Romania's Savin Iantoc by police in Charlotte, North Carolina, after being linked to illegal devices attached to various ATMs. The pair's scheme, which reportedly netted them thousands of dollars, was brought to an end after staff at the Sun Trust Bank alerted the police to potential skimming activities and several of their accounts. Following up on this lead, the police set up surveillance at ATMs throughout the city and within a few days they caught Pizzingrilli and Iantoc trying to install one of their devices. "This was fantastic work from the CMPD officers. An officer actually saw the suspects putting the device on an ATM. This is a once-in-a-lifetime arrest. 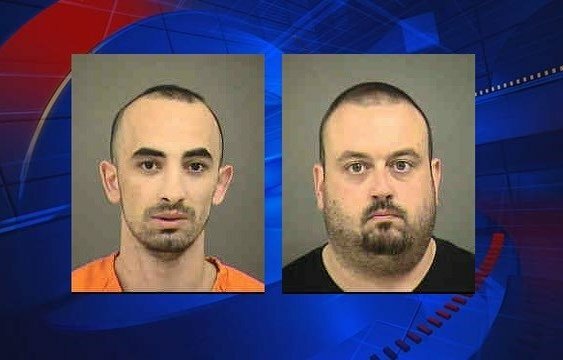 We are proud of the work done by the officers out there," said a representative for the Charlotte police department. After examining the device, investigators found that it contained a small camera, a mirror and an electronic card reader. Through this combination of facets the device allowed the pair to electronically store credit card numbers and record pin numbers, a process which would then allow them to steal cash from people's accounts days later. According to Italian poker site, Assopoker, Pizzingrilli is a regular on the live scene and plays cash games against many of the community's regular faces. In contrast, Iantoc is known to the FBI and has previously been suspected of engaging in skimming activities. The pair will now be subjected to an investigation before final charges are brought against them. Image courtesy of Fox46 in Charlotte.